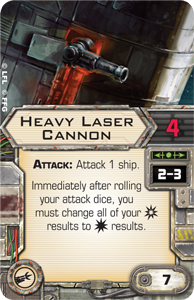 The release of X-Wing™ Wave VII is fast approaching, and its hard-hitting starships and ordnance are destined to make a massive impact. 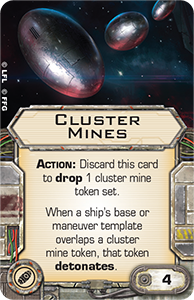 Over the course of our previews, we've taken a closer look at each of the different starship expansions, and two of the game's greatest players – World Champions Paul Heaver and Doug Kinney – have ventured to guess at how they may shape the ever-changing metagame. 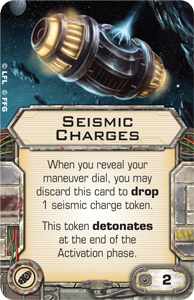 Today, we continue to explore the ways that Wave VII is likely to steer the larger metagame, as developer Alex Davy hazards a guess at the future of the galaxy's Scum and Villainy. 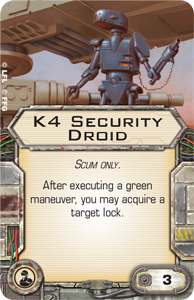 Even though the Scum and Villainy faction debuted with a bang in Wave VI, it still started five waves behind the Rebel and Imperial factions. Nonetheless, it has since made a big impact on the game at both the casual and competitive levels. 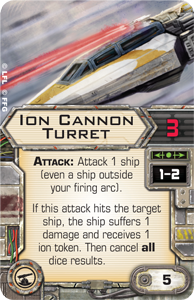 In particular, Autothrusters have been popping up everywhere, renewing interest in arc-dodgers like the TIE interceptor and A-wing, as well as spurring the use of IG-88's Aggressor, the IG-2000 . 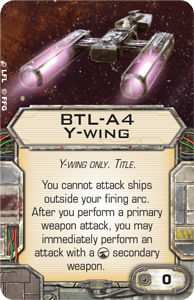 We've also seen a lot of Y-wings with the BTL-A4 Y-wing Title, although a good number of those have been among the game's Rebels, who have paired the Ion Cannon Turret with the unique Astromech R3-A2 to both stress and ionize enemy ships, setting them up for the kill. 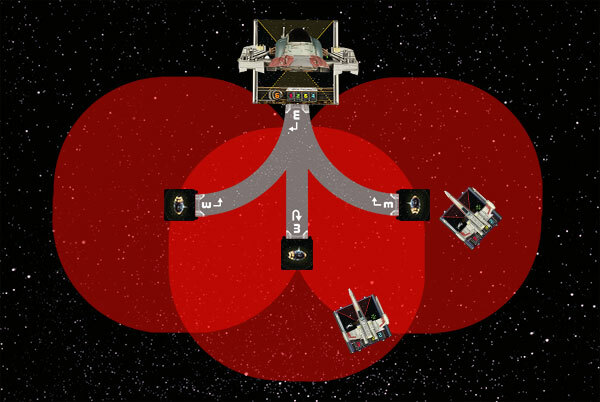 Wave VII continues to push the Scum faction forward, adding more for the Scum than for either of the other factions, and with its release, the Scum and Villainy are going to be on nearly equal footing with the Rebels and Imperials when it comes to the number of ships they have in their arsenal. 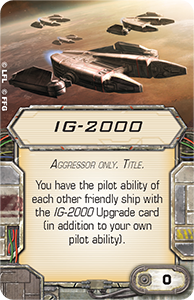 The YV-666 and Kihraxz fighter add a good dose of resilience and punch to the faction's existing forces, taking some of the burden off arc-dodging and the need to force synergies through the IG-2000 Title. 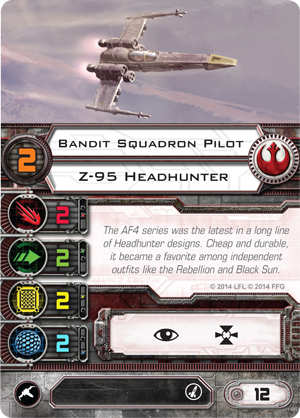 Part of what that means is that we should see a lot more squad diversity, and we should see a more clearly established Scum identity, one that's really centered around the illicit upgrade slot and the faction's other dirty tricks. A lot of this starts with Glitterstim . I don't think it's overstating the case to say that Glitterstim is a game-changing upgrade. It's an action-free boost to both offense and defense for a full round, and if you time it correctly, it can swing an entire game in your favor. 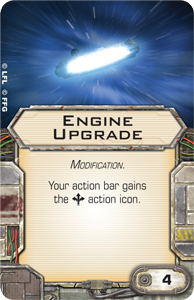 While it's a solid choice on just about any ship that can equip an illicit upgrade, it makes the faction's power players even stronger. 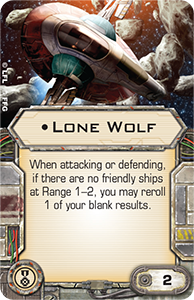 For example, consider what Glitterstim could add to a Boba Fett equipped with Lone Wolf , Tactician , and Engine Upgrade . This version of Boba Fett is almost half your squad points, but can charge into the very teeth of an enemy squad and emerge relatively unscathed. 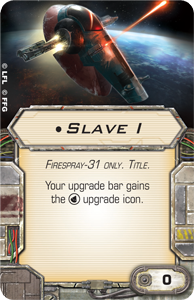 Even a full TIE swarm will have trouble doing more than chip the paint on his Firespray-31 on the turn he pops Glitterstim since he'll enjoy the effects of focus and will likely be rerolling one or more dice against every single incoming attack. 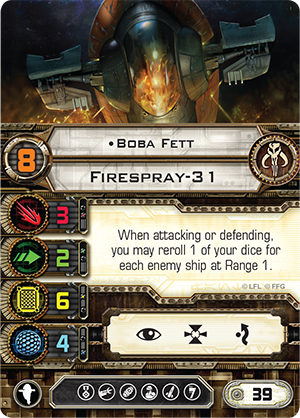 Additionally, the use of Glitterstim allows Boba Fett to drop the common Recon Specialist in favor of a Tactician to add an element of control to your list and set up for the rounds after the Glitterstim wears off. 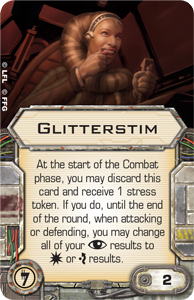 You're also likely to see Glitterstim make a big impact in squads, even when it's not added to the list's most expensive ship. This is especially true when you consider how it can boost the efficiency of the overwhelming firepower that Talonbane Cobra brings to the table. 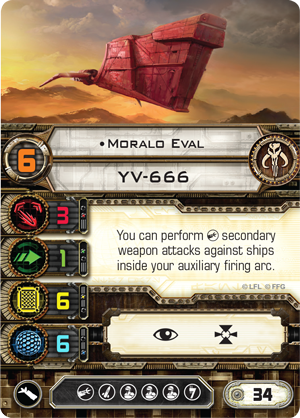 In this squad, Moralo Eval is the closest thing to a stationary weapon platform as the game allows, attacking with his Heavy Laser Cannon for four dice in a full 180-degree arc while Palob Godalhi's Wingman allows him to clear the stress of his Speed "0" maneuver round after round. 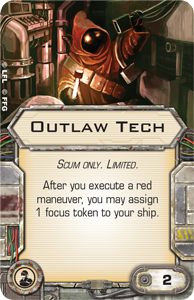 Meanwhile, an Outlaw Tech keeps Moralo Eval supplied with tokens, and Palob Godalhi helps Moralo Eval's shots hit home by stripping enemy ships of their focus and evade tokens, all while using his Ion Cannon Turret to keep them in the danger zone. 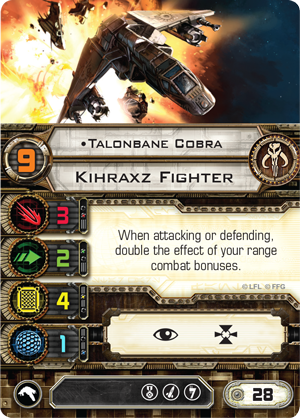 Finally, Talonbane Cobra adds another threat that can't be ignored, flying across the battlefield at a pilot skill value of "9" and able to unleash attacks of five dice at Range "1." Do you try to eliminate the lethal Talonbane Cobra first, allowing Moralo Eval to keep blasting away with his Heavy Laser Cannon even as Palob Godalhi uses your own tokens against you? Do you try to hunt down the HWK-290, leaving the heavy hitters free reign to take their shots? 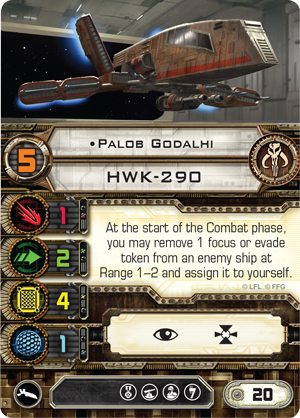 Do you try to chew through twelve hit points of YV-666 while Palob Godalhi steals your tokens and Talonbane Cobra is free to prey upon your ships? 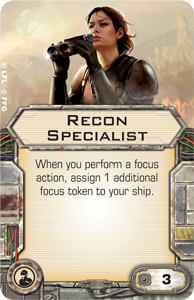 There's no easy answer, and part of that owes to the added versatility that Wave VII brings to the faction, especially in head-on confrontations. 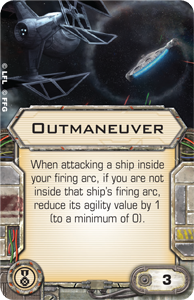 With its 180-degree firing arc, the YV-666 is a powerful tool against the arc-dodgers equipped with Autothrusters, and the Kihraxz fighter – and Talonbane Cobra, particularly – gives the faction a lot more bite in jousts, especially when you can fire first with your high pilot skill, taking out your enemies before they can fire back. 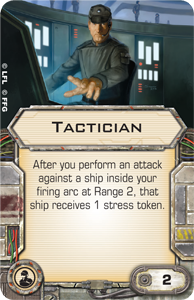 Even more than the Firespray-31, the YV-666 thrives on cards like Tactician and Outmaneuver that require you to catch enemies in your firing arc. Its solid maneuverability, access to the "0" maneuver, and its glorious arc mean that the YV-666 offers the Scum access to a new set of tactical possibilities that are wholly their own. However, the YV-666 doesn't just stand out for its firing arc. 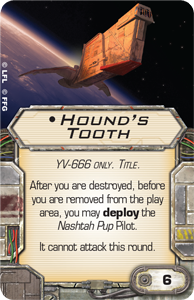 It's also noteworthy for its resilience, and the Hound's Tooth Title adds a nice little wrinkle to this by allowing your pilot to "escape" the destroyed YV-666 aboard the unique Z-95 Headhunter, the Nashtah Pup . 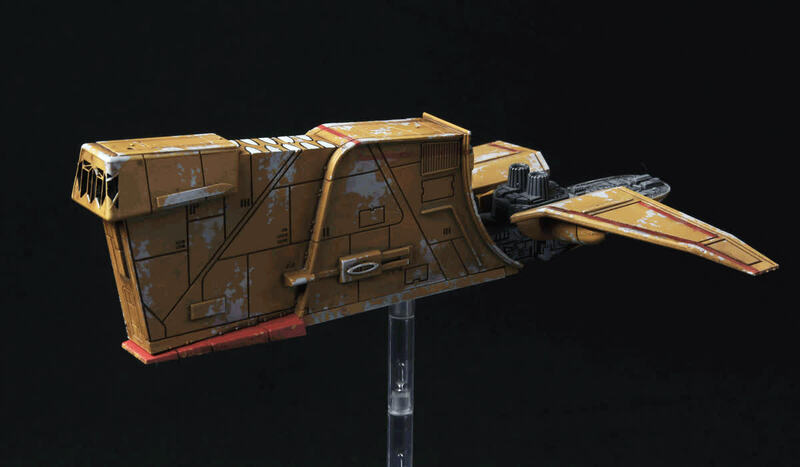 Although it can't attack the turn that it deploys and maneuvers away from the front or back of the Hound's Tooth, it still adds another four total health, between its shields and hull, that pilots such as Prince Xizor can then exploit to their benefit. 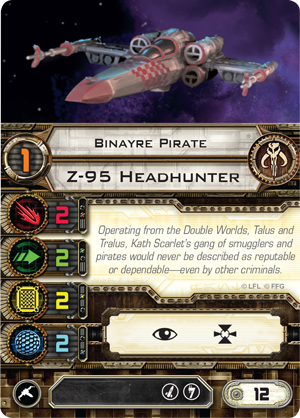 This list substitutes the Trandoshan Slaver and Hound's Tooth for three of the Z-95 Headhunters that would normally appear in a classic Prince Xizor swarm. 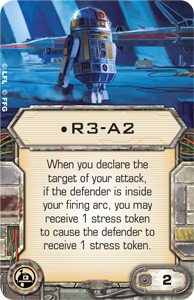 You trade volume of fire for quality of fire, trading three Z-95 Headhunters for a much more powerful ship that can reliably stack focus and target lock and will often dish out four-die attacks at Range "1," thanks to its extra-wide primary firing arc. 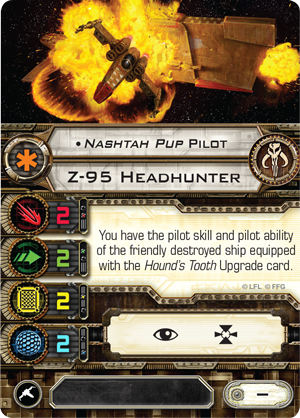 Moreover, as the second-most threatening ship in the list, it will likely draw a lot of fire, and when it's destroyed, the Nashtah Pup can deploy, meaning you have yet another vessel to which the Dark Prince can shunt his damage! And as far as Xizor's ability to shunt damage is concerned, the Trandoshan Slaver is a boon. 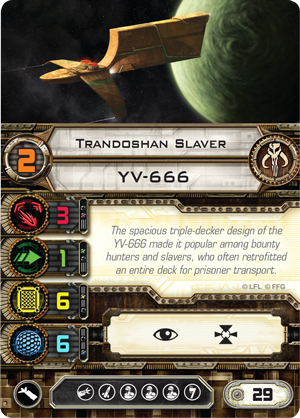 Even though this ship trades three Binayre Pirates for one Trandoshan Slaver and the Nashtah Pup, you can absorb a total of four more damage than the classic Xizor swarm, thanks to the hefty six hull and six shields of the YV-666. While we’re talking about raw jousting efficiency, it’s not just the YV-666 that stands out in this wave. 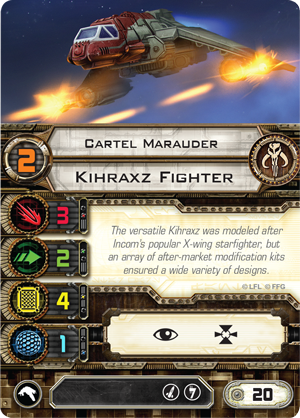 The Kihraxz fighter is more than formidable en masse, and it's likely that five Cartel Marauder lists will join lists like eight TIE fighters, eight Z-95 Headhunters, and the fearsome BBBBZ – four Blue Squadron Pilots and one Bandit Squadron Pilot – at the top of the jousting heap. 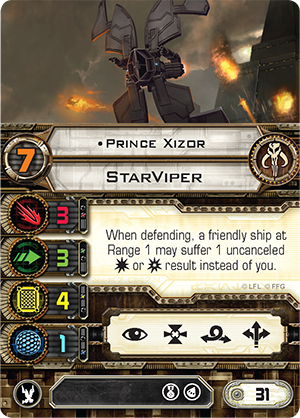 While the YV-666 and the Kihraxz fighter are both excellent ships, it's not just the ships from each wave that shake up the game. 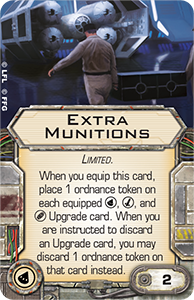 Upgrades also make a big difference, and there are more upgrade cards in Wave VII than just Glitterstim that are bound to make a impact across the Scum faction. 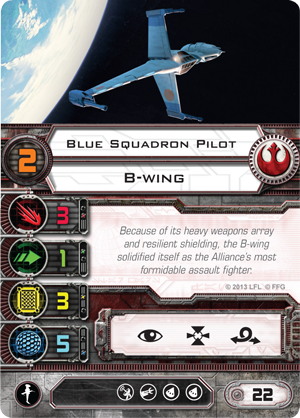 Several of these directly enhance my personal favorite new ship to fly: Emon Azzameen . 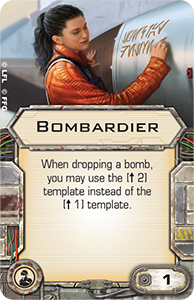 Equipped with the Andrasta Title, Seismic Charges , Cluster Mines , a Conner Net , and Bombardier , Azzameen is a bomb-dropping wünderkind. 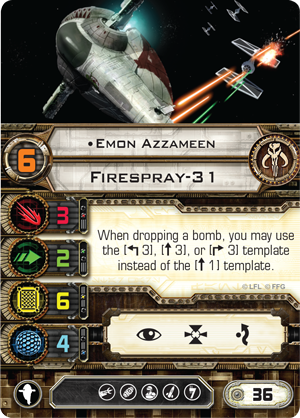 Few places are safe when Emon Azzameen's Firesrpay-31 is loaded with explosive ordnance. 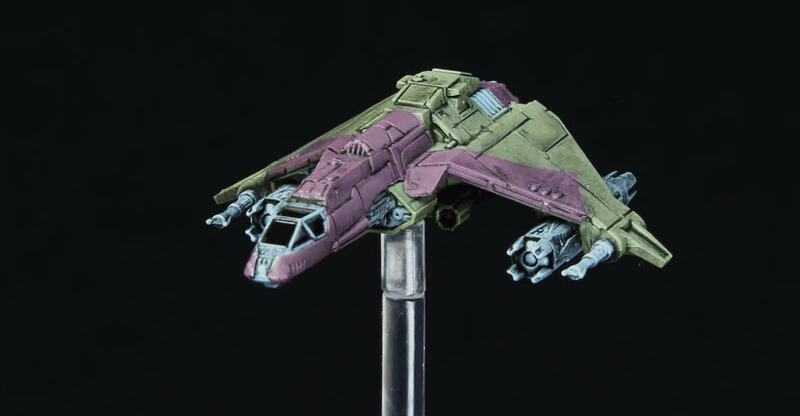 As fun as he is to fly, though, he’s not cheap, weighing in at a total of forty-seven squad points, but Wave VII provides tools for the penny-pincher as well. 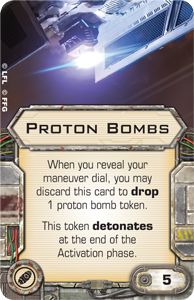 Adding the Slave I Title and Extra Munitions to your Firespray-31 means you can pack two deadly Proton Bombs aboard Azzameen's ship for seven points instead of ten. 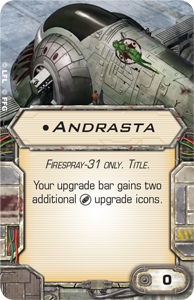 All told, it’s a thrilling time for the newest faction in X-Wing, and I for one am excited to dive in! 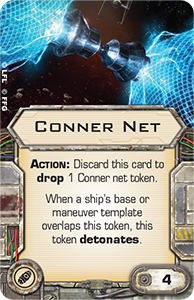 The bombers, bounty hunters, and Black Sun aces of Wave VII are on their way, and before you know it, the metagame will be recoiling from their explosive entrance. How will you utilize the wave's new ordnance and the YT-666's 180-degree firing arc? 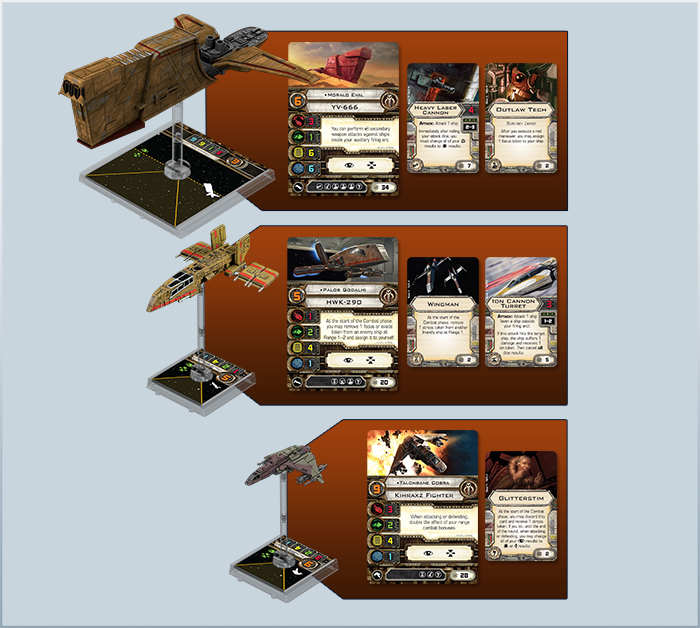 How will you design your squads to counter the new ships? 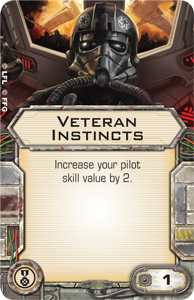 Which new pilots and upgrades have most caught your attention? Is Glitterstim enough to make you go Scum? 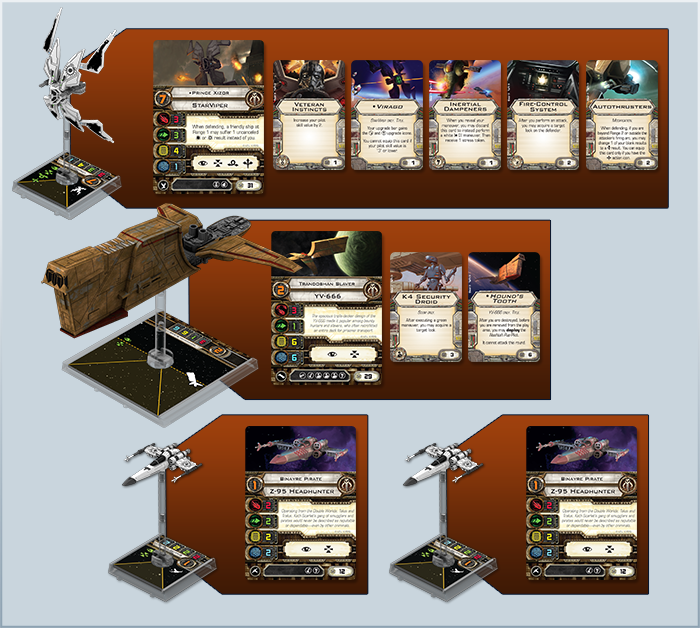 Share your thoughts with the other members of the X-Wing community in our community forums. 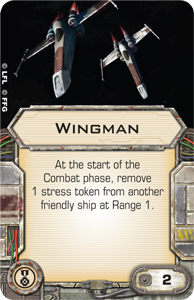 Then, be sure to keep your eyes open for more X-Wing news and announcements!